Socialization is a complex process which has a profound effect on how we experience teaching and learning. The study of teachers’ lives and careers through the lens of occupational socialization theory has a rich history in physical education. However, as the social and political climates surrounding education have changed, so have the experiences of teachers. This book pushes beyond traditional perspectives to explore alternative and innovative approaches to socialization. Written by a team of leading international physical education scholars, this is the first edited collection of scholarship on teacher socialization to be published in more than two decades. Divided into five parts, the book provides a review of current knowledge on teacher socialization in school settings, as well as suggestions for different approaches to understanding teacher socialization and recommendations for future directions for studying teachers’ lives and careers. 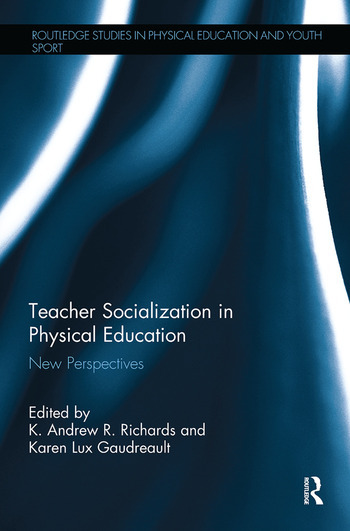 A testament to what is known and what still needs to be learned about the lived experiences of physical educators, Teacher Socialization in Physical Education: New Perspectives provides valuable insights for all physical education students, teachers, and instructors. K. Andrew R. Richards is an Assistant Professor at the University of Alabama, USA. His research centers on teacher socialization in physical education with a particular focus on role stressors that arise from combining teaching and extracurricular roles, such as athletic coaching. He has co-authored empirical articles using occupational socialization theory, and has also written research reviews on the topics of socialization theory and role theory published in Quest, the Kinesiology Review, and Research Quarterly for Exercise and Sport. He is currently serving as Pedagogy Section Editor for Measurement in Physical Education and Exercise Science. Karen Lux Gaudreault is an Assistant Professor at the University of Wyoming, USA. Her teaching experience includes physical education instruction at the elementary, secondary, and collegiate levels. Her research involves examining teachers’ work lives and the marginalization of physical education in schools, teacher socialization, schools as workplaces, and how the structure of schools impacts teachers’ agency and feelings about their work. She is an active member of SHAPE America and is the past-chair of the Curriculum and Instruction Academy. Dr Gaudreault’s work has appeared in the Journal of Teaching in Physical Education, Physical Education and Sport Pedagogy, The Teacher Educator, and Quest.